This is the current (temporary) method for NUEL and LACACS swimmers to enter galas. In due course, once all members have activated their online membership account, all entries will be completed via the membership online system, with payments made by BACS as described below. Go to bottom of page or click on the Team Calendar tab from the Home Page for list of upcoming competitions. Instructions: Newham & UEL Swimmers wishing to enter external competitions MUST use this online form to submit their competition entries. Paper copies or emails will NOT be accepted unless specifically instructed for that event. IMPORTANT: Please read these notes below if you have not previously completed the Club’s online competition entry process. Your form MUST be completed AND online payment made before the advertised deadline date. The events and deadline dates are advertised in the Team Calendar or Events page on the website. The club deadline date will always be EARLIER than the date advertised by the Club that is hosting the gala; this is to give the Head Coach and Club Volunteers the opportunity to process and submit all of our swimmers’ entries before the gala gets full up. Therefore, we strongly recommend that you aim to complete your entry a minimum of 48 hours before the deadline date; this will avoid a last-minute rush. Late entries or entries without payment WILL NOT be processed. Check your swim times in your TeamUnify account or go to www.swimmingresults.org/biogs to find your ASA number and check your times. N&UEL SC, Barclays Bank plc, sort code: 20-67-88, account no 50281808. Please use as reference ‘Swimmer’s Name & Gala Name’. ENTRIES WITHOUT PAYMENT WILL NOT BE PROCESSED. If you need to enter more than one competition, or for more than one child, you will be able to complete and submit the form as many times as required for each individual entry. IMPORTANT: If you are entering more than one gala or more than one child - you must make separate online payments for EACH child and EACH gala, clearly identified in the reference. If the volunteer cannot reconcile your payment to the specific gala and child, your entry will not be processed. If you have missed the deadline, it is unfortunate. Please DO NOT submit your child’s entries directly to the hosting club as it causes the other Club and their volunteers more work and extra expense to process individual applications. Please note that you will need to take a print out or note of your entries before you submit your completed form. You will also NOT receive a confirmation email that your form has been successfully submitted. We will publish or email accepted or rejected entries; it is your responsibility to check before attending the meet. Thank you. Q: What are “qualification times” or “QTs”? A: Some competitions will require the swimmer to prove that they have/have not swum faster than the advertised “qualifying times”. For example, for Essex County/ECASA , Regionals and Nationals, the swimmer must have competed and gained a fast enough time to be able to eligible to enter the County Championships. (The Head Coach will usually notify the swimmer that they have achieved a qualifying time and in which event). Some competitions, however, are aimed at swimmers who have not yet achieved fast enough times and they will advertise an upper limit, which means that swimmers who are faster than that time should not enter that event. However, they can consider entering a longer event, eg, a 200m or 400m swim or another stroke that they have not previously qualified in. The swimmer should seek advice from their Coach if they are unsure of which events to enter, but this should be done well in advance of deciding to enter the competition as the Coach will not be able to discuss this with the swimmer or their parent on the deadline date for their entry. 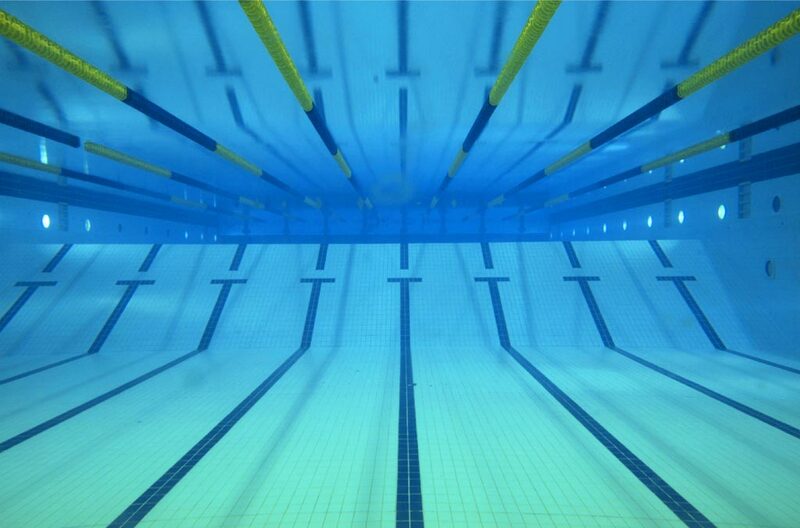 You should check if the event is “Short Course (SC) – which is 25-metre pool length; or “Long Course (LC)” – which is 50-metre pool length as you may need to convert your QT on the entry form to/from a 25m to a 50m time. If so, you MUST use the London Swimming approved Equivalent Time Conversion (downloadable software). Your entry will be rejected automatically if you have not applied the correct conversion formula. Recommended: You can use the ONDECK app in your TeamUnify swimming club account to automatically 'toggle' between short course and long course converted times. BRITISH SWIMMING CHAMPIONSHIPS (50M) Date: 16 - 21st April 2019 Venue: Glasgow Open to swimmers meeting the qualifying criteria only.